The Garage saves you valuable scraping and vehicle clearing time, while extending the life of your vehicle. Store your vehicle indoors with our Garage. 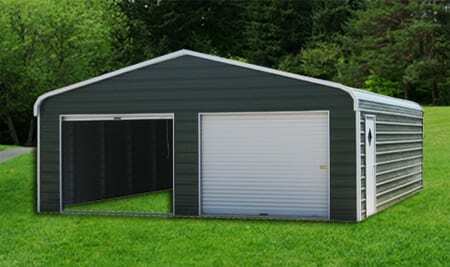 This structure is large enough to store a four-door truck, and is more convenient than building your own garage. The Garage comes with our traditional rounded roof and horizontal metal.